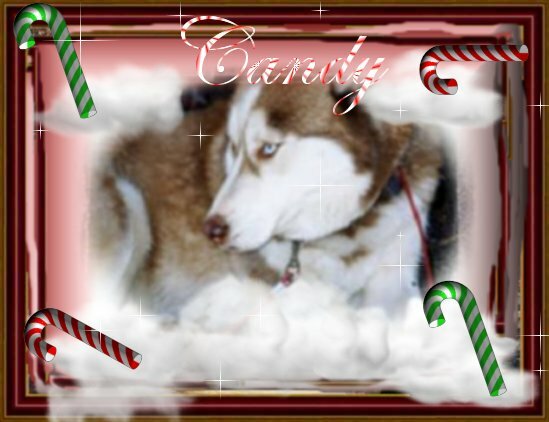 Candy was our Cinnamon-Point Blue-eyed Siberian Husky. 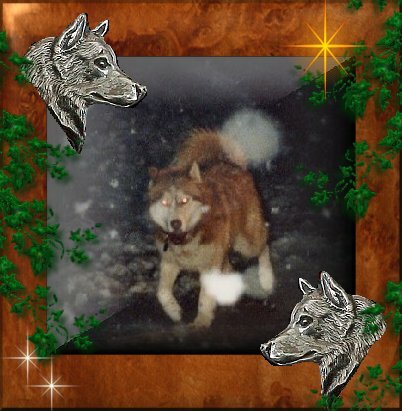 Kody, my wolf, absolutely adored her. Admittedly, they would have made beautiful babies but we never bred them. We had too many dogs at one time, so we found a good home for Candy with someone that had ten acres where she could run like there was no tomorrow. That was her passion. It is the nature of huskies, close relative of Wolves, to be extremely territorial and hard to keep contained. We were always afraid that Candy would continue to run until the day would come when she wouldn't look back - I think that was our greatest fear. Huskies crave at least a 25-50 mile radius of traveling space, maybe more, which they guard furiously. We will miss Candy madly, our memories of her scattered and sprinkled across the space of time like Dust in the Wind. . .